As economic pressures continue to bear down on organizations, ways to improving the facilities and processes to create efficiencies and reducing costs are constantly on leaders’ mind. 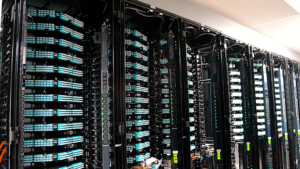 One area that is getting a lot of attention is the data center. Earlier, data center were viewed as a place to house data and provide reliable services for businesses. But nowadays, the typical data center is overprovisioned, inefficient, and underutilized. However, the recent trends in data center designs and operations are aimed at increasing efficiencies and mitigating risks. This certainly saves companies from spending more on operating costs. Given enterprise dependencies on high-end structure data cabling, it is telecommunication, data transmission and storage, software support, on-going maintenance, data backups, and back-end functions such as system update and monitoring that are on the top of the priority list. According to the survey conducted by MarketsandMarkets, by 2020, the structured-cabling market will be worth $13 billion plus which means the structured cabling will employ fully virtualized network architecture. Modularisation in new data centers: Transition to new data center construction that supports the demands of superior networking capabilities is considered to be one of the most notable trends that affect structured cabling. In fact, the organizations’ involvement at an initial stage or at the construction phase will help them make important decisions for data center cabling solutions. Getting involved at an early stage supports the scalability in data and resources, increases profits and also reduces overall infrastructure costs. Modular data centers that are specifically designed to meet the needs of organizations are portable, and employ unique pre-engineered modules and components while providing enough space to accommodate a converged infrastructure where “location” is a factor. Network Infrastructure Optimization: With the advent of copper and fiber technology, data center providers are becoming an economical way to integrate network infrastructure optimization. The massive amounts of data are collected, transformed, and delivered across the network demands a state-of-art network cabling solution. The system not only needs to support current data but also must accommodate for the future influx of data (Big Data) that will ultimately occur as the organization grows. Unified cloud initiatives: Cloud initiatives are certainly impacting the approach to network cabling as well. For instance, in an attempt to deliver rapid scalability, organizations implementing a private cloud infrastructure must deploy the physical network infrastructure before actual usage is needed. Therefore, it is important to lay a well thought out physical layer design that allows for a phased implementation approach that is crucial for the successful rapid deployment models. Network Virtualization Services: Network virtualization is when both hardware and software network resources are combined into software-based, single administrative body or virtual network. It is the combination of many networks or parts of networks or provides network-like functionality to the software container on a single system. The data center convergence allows servers, storage, and network infrastructure to be integrated, and thereby increases the efficiency and simplifying management, without sacrificing network reliability, and can be achieved through a fully virtualized network infrastructure. Data center convergence: This means creating a pool of virtualized server, networking capacity, and storage which are shared by multiple applications. The technique aims at reducing the footprints of all elements of a data center. One of the major benefits of data center convergence includes better alignment between IT projects and business objectives, which helps in gaining efficiency and advantage through IT responsiveness and incremental technological capabilities. Whether you are exploring new B2B opportunities as a managed-services provider or moving to a cloud data center, data cabling is definitely creating a new era for high-end data centers. Although efficiency, cost-conscious solutions, performance, and scalability are important considerations, a well-planned structured data-cabling infrastructure is designed to strengthen the networking environment in preparation for change.